Jamie Does... is Jamie’s personal celebration of amazing food from six very different countries. Cheap, short-haul flights and long weekend getaways have become increasingly popular and within a few short hours of the UK there are new and exciting worlds of food waiting to be discovered as Jamie finds out. Each chapter focusses on a different city or region - Marrakesh, Athens, Venice, Andalucia, Stockholm and the Midi Pyrenees region of France. Classic recipes sit alongside new dishes that Jamie learns along the way. 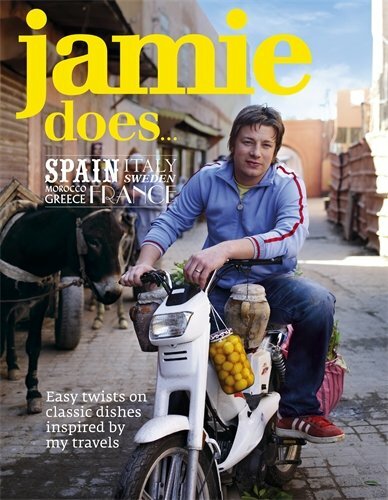 Alongside each recipe there is a beautiful photograph of the finished dish, as well as incredible reportage shots of Jamie’s experiences in each country.